The soil is sandy-silty and rocky, strewed with sandstone. In the northern part, the soil is very superficial, almost non-existent, and luckily it is in these very rough conditions that are found the oldest vines – planted in 1926, 1922, 1917, and 1914. 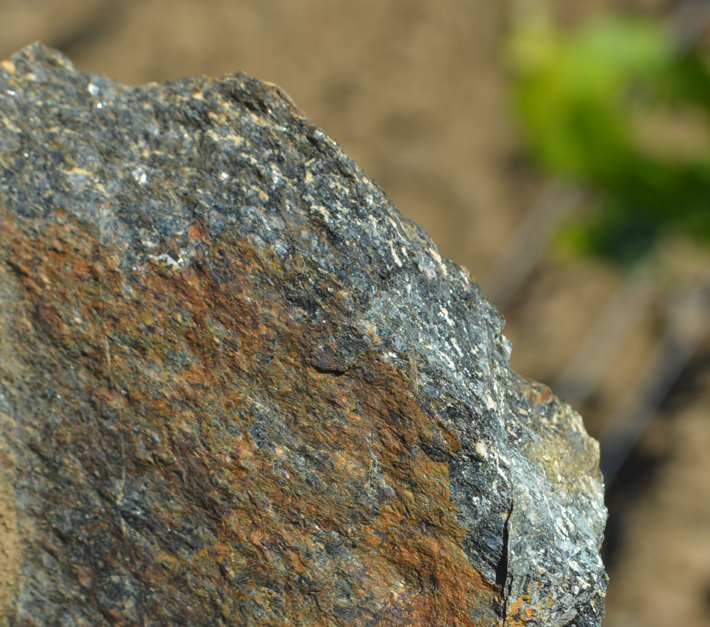 On the south slope, the soil varies from sandy-silty rock to true clay in the parcel called ” La Tache ” on the southwest side of the vineyard. The bedrock is composed of amphibolite and meta gabbro, an igneous blue-green rock which is very hard, coming from the intrusion of lava in the faults of the Armorican massif. 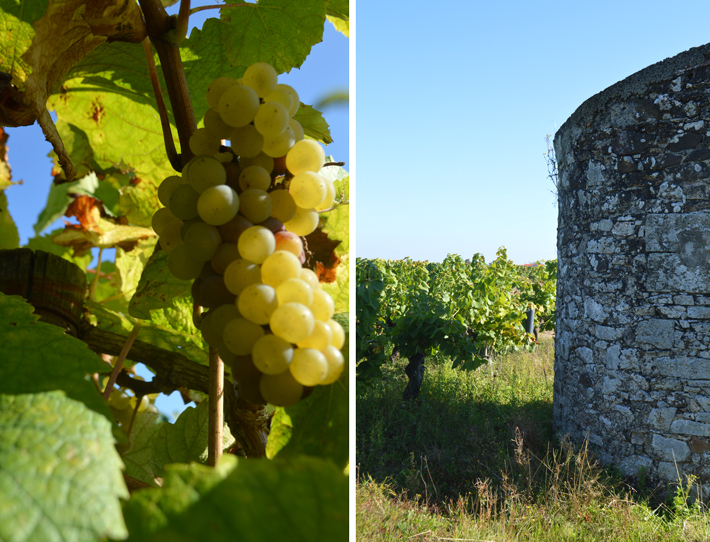 Rich in ferromagnesian elements, producing grapes with thick skin, the Muscadets of the Clos les Montys are fleshy, structured, mineral, and are great “vins de garde”. Le Fief les Montys belonged, in 1414, to Jean de Saint-Aigan. There is only an isolated tower remaining from this former seigniorial house. After the Revolution, the property was acquired, about 1810, by the architect François-Léonard SEHEULT of Nantes who built, in 1813, the current château in its ‘directoire’ style. Very well known in the region, one can still admire in Nantes on Héronnière street his building with sculpted figures serving as an architectural support. The house les Montys is registered on the French Supplementary Historic Monument list, and opens its doors, every year in September, for Heritage Days. In 1994, the château and the vignoble were sold separately; le Marquis de Goulaine, a passionate and fascinating man, became the owner and recoltant of the Clos until the vintage 2000. It was in 2001 that I had the opportunity to acquire this wonderful terroir with its rich past.